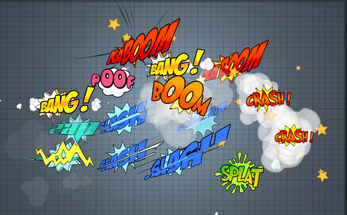 - The following cartoon onomatopeya: Boom, KaBoom, Zap, Crash, Puff, Splat, Slash, Bang. - Each Atlas frame is a 512 x 512 size image (4096 x 4096 total). Included half sized version as well (2048 x 2048 total).